that cure the stated problems in a way nobody has done before! How to get everyone on the same whiteboard and excel cell across your organization without anyone leaving their seat? 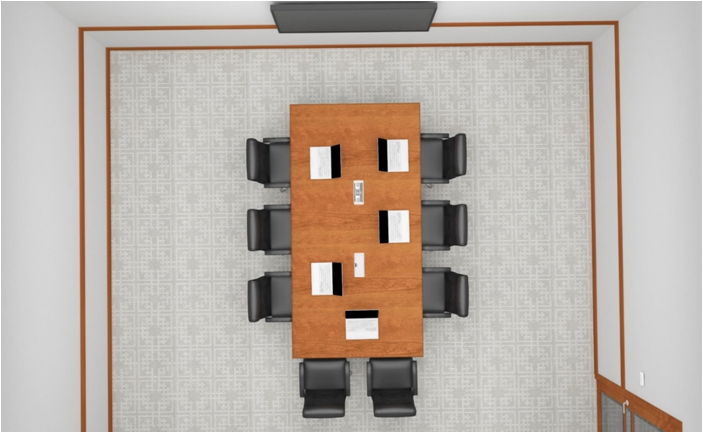 How to empower your meeting rooms to be clutter-free and always ready for presentations? 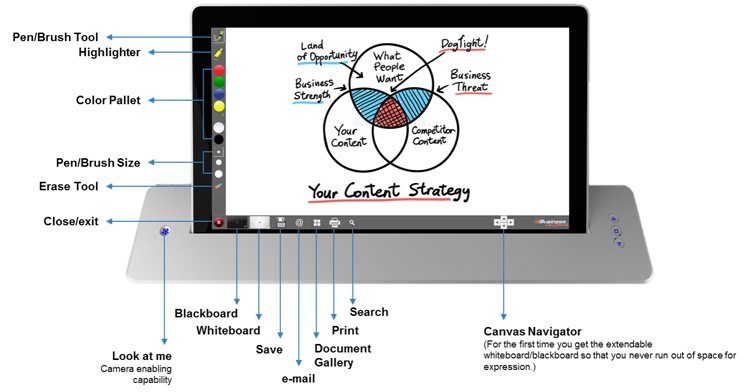 How to convert your ordinary single content presentation into multi-content presentation share, compare and annotate in all your meeting rooms with zero setup time? 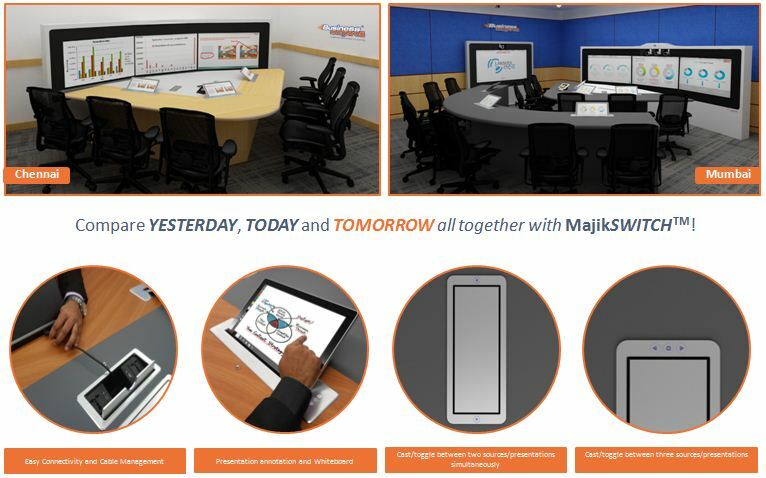 How to transform any ordinary huddle rooms, lounges, medium size conference rooms, classrooms and training rooms into an amazing audio, video and local meeting collaborative soaces? How to make your meetings more productive by equipping better time-management, less conflicts and highest resource usage? 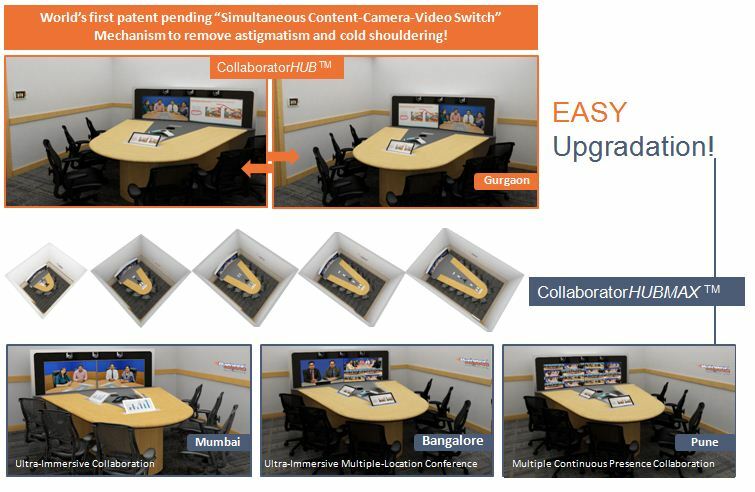 How to get 100% standardized highest quality experience of video, local and audio collaboration across your worldwide locations with the capability of moving the same to a new office/location practically overnight without any room preparation? 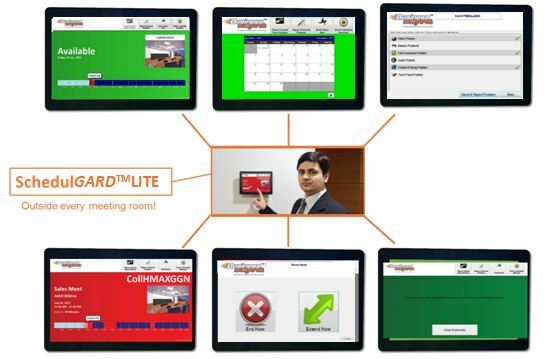 How to dramatically empower all your Chairman/CEO/CXO’s to have the best possible video collaboration from their cabin itself? 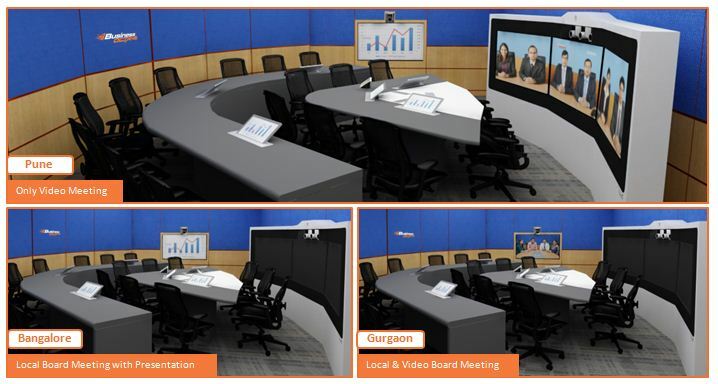 Why not make your Video Conferences 4 to 6 times more immersiveHow to make your Video Conferences 400 to 600 % more immersive and intimate ultra-immersive group video meeting experience in every single room across your organization irrespective of the seating capacity? 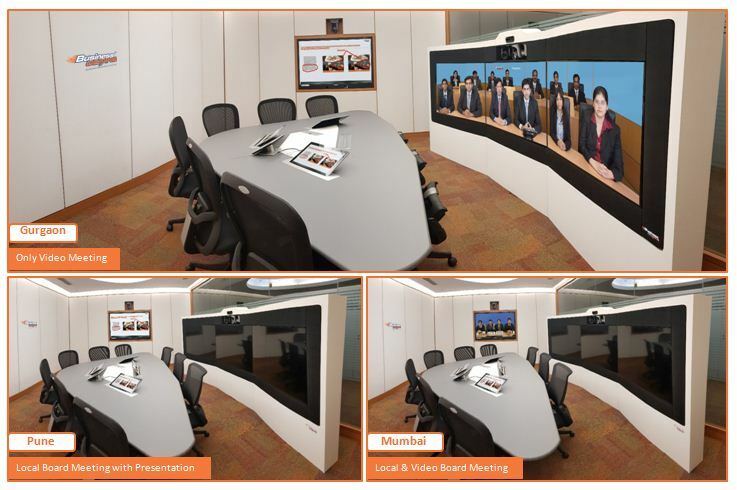 How to do an intimate Ultra-Immersive video meeting review with upto 495 employees spread over upto 33 locations in such a manner that everyone sees everyone else along with seeing the current speaker life-size at every location? 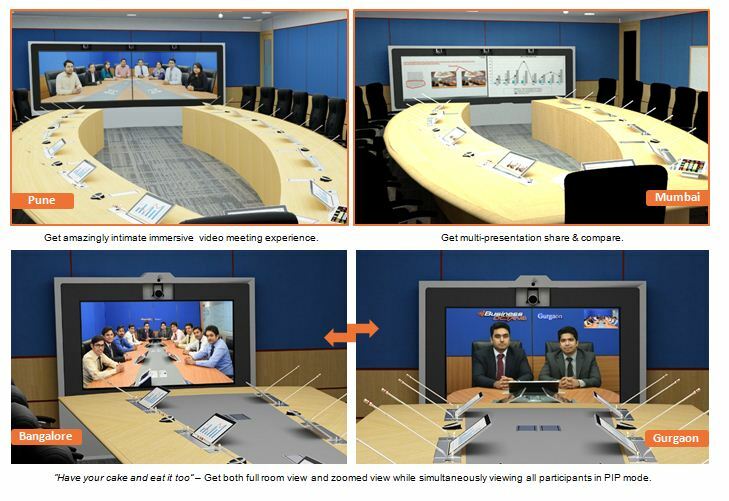 How to do an intimate Ultra-Immersive video meeting review with upto 555 employees spread over upto 37 locations in such a manner that everyone sees everyone else from every location along with seeing all the current speaking location participants life-size? 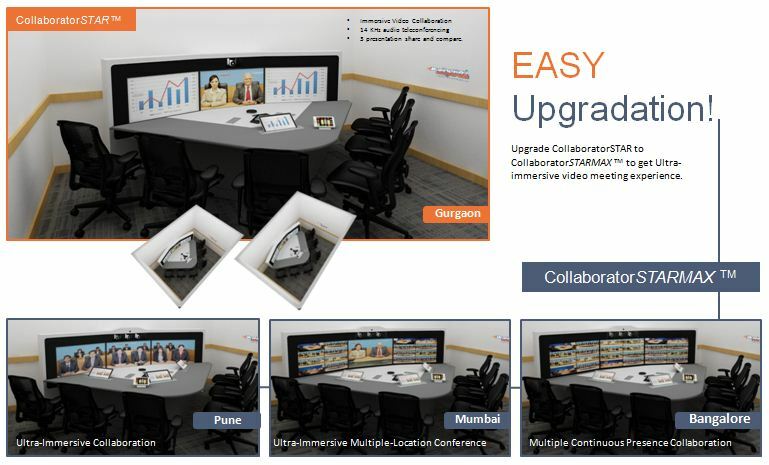 How to empower all your users in group telepresence or legacy video conference rooms to connect single or multiple locations in different user configurations,and to record their video meetings for archive and training purposes, all by themselves? 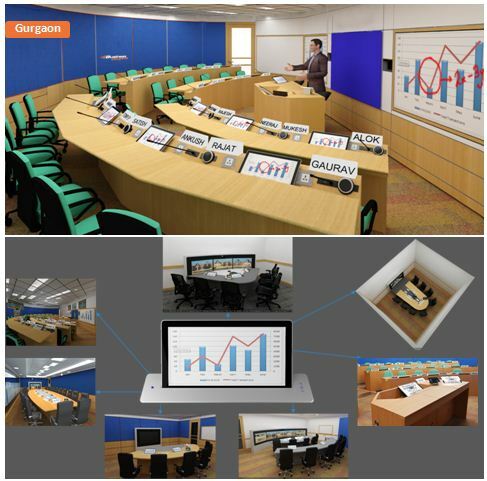 How to get the world’s best conference rooms, training rooms without making any capital expenditure? How to take your boardroom meeting experience to the level that nobody has taken before? 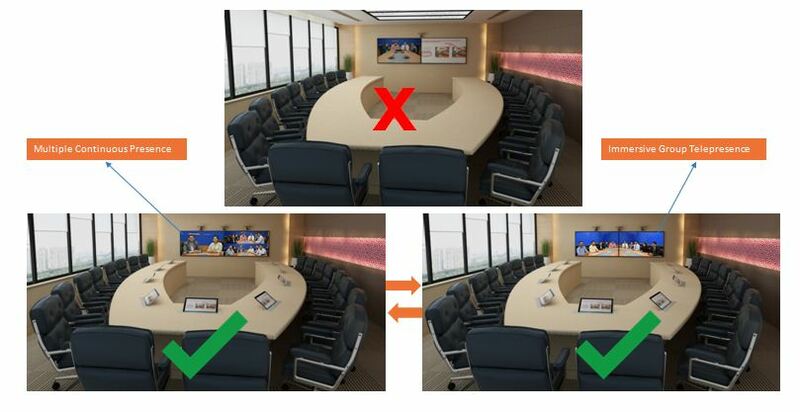 How to remove eye contact problem from all your existing video conference rooms? 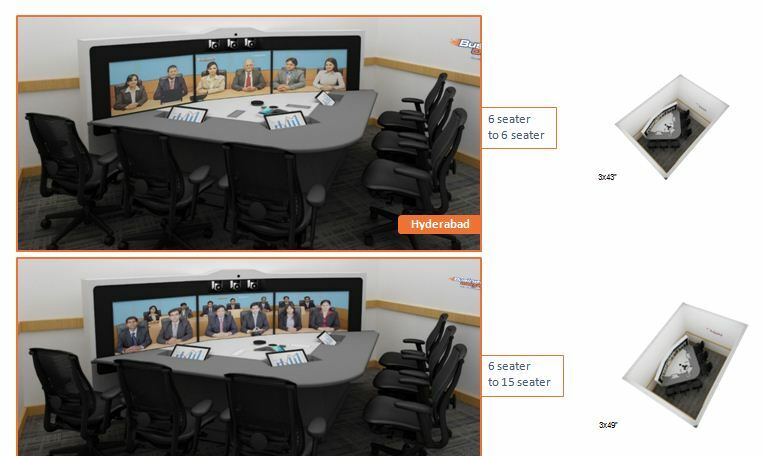 How to convert your ordinary meeting rooms into group video meeting, dynamic telepresence and multiple continuous presence rooms without making much changes to the room? 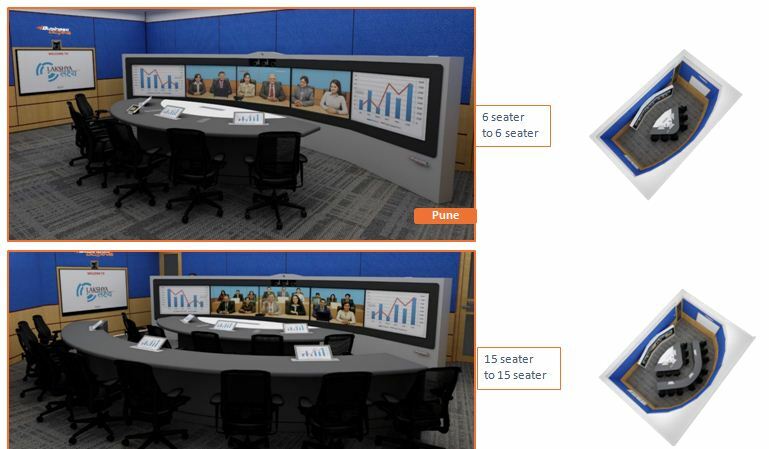 How to dramatically enhance the aesthetics of your existing video conference rooms, while getting high quality sound, best possible eye contact, displays against the glass walls without thick acoustic partitions in conference rooms? 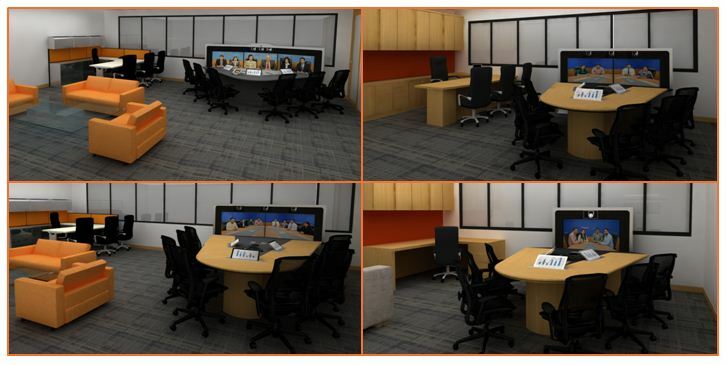 How to make conference rooms effective, productive, stress free and beautiful with VC Optimised specialized furnitures? 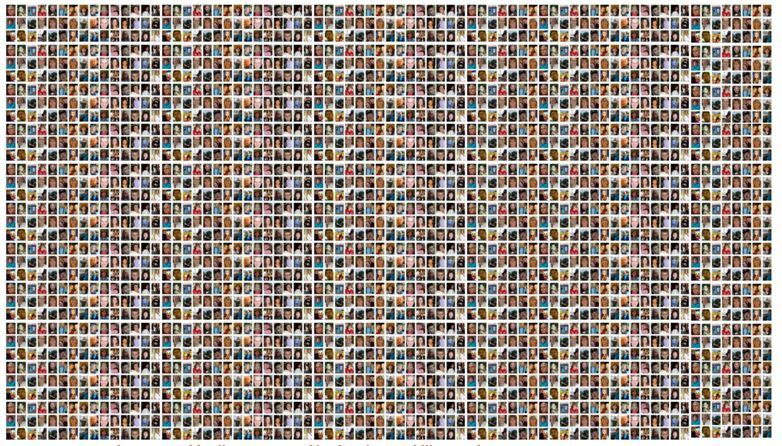 How to collaboratively train or conduct a training session with 1200 attendees from 25 locations in a way that the trainer/speaker or any attendee can be recognized by all other attendees along with seeing the current speaker life size at their location and further stream it to 10000 poeple? 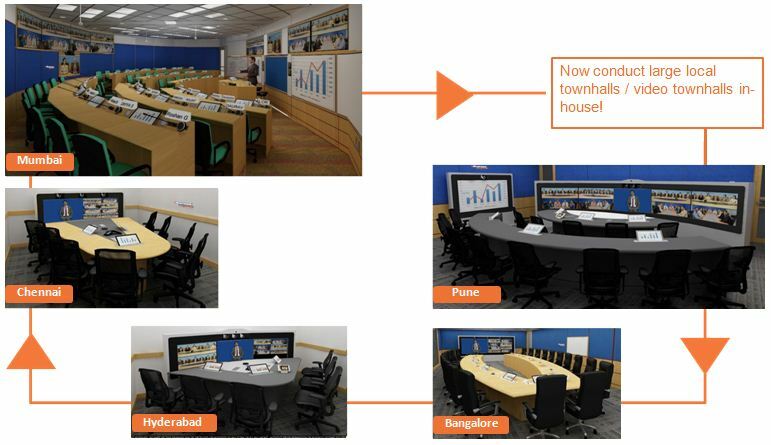 How to convert any existing training room/classroom/ banquet hall/lecture hall/cafeteria into an immersive collaborative learning telepresence video learning & teaching room, which was never ever possible before? What are the PROBLEMS you are facing currently, that our unique game changers will help you resolve? 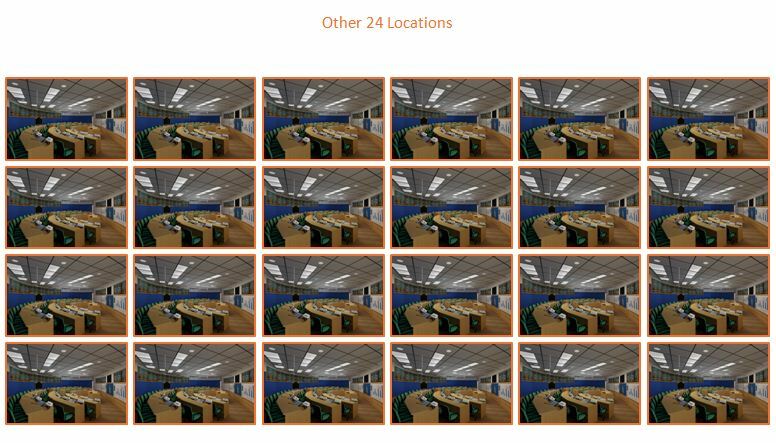 Miniature appearance of distant participants that becomes worse in multi location meetings. Makes you subconsciously uncomfortable, and you feel as if far site participants are not talking to you. Smudgy video quality in point to point calls in-spite of using large bandwidth. 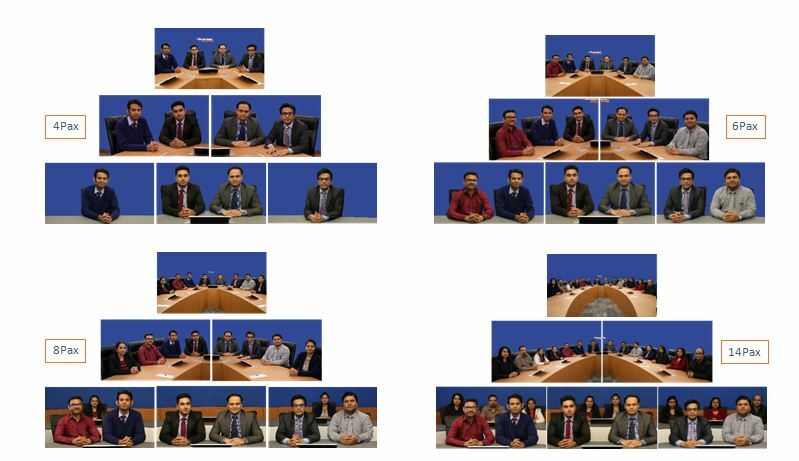 The video quality becomes further worse in multi point video calls. Poor image quality of participants on account of poor lighting in rooms and standard codecs, low bandwidth or network quality issues. Poor audio quality on account of poor acoustics and network issues. Lack of content sharing capability especially like whiteboard and documents. Further it is not possible to collaboratively work together with far locations on same content. Non standard experience in video conference rooms on account of which every call requires a lot of IT/Admin support. Connecting other organizations from your conference roomsin business quality video i.e customers, partners, suppliers without compromising on the IT security of the organization is not possible. 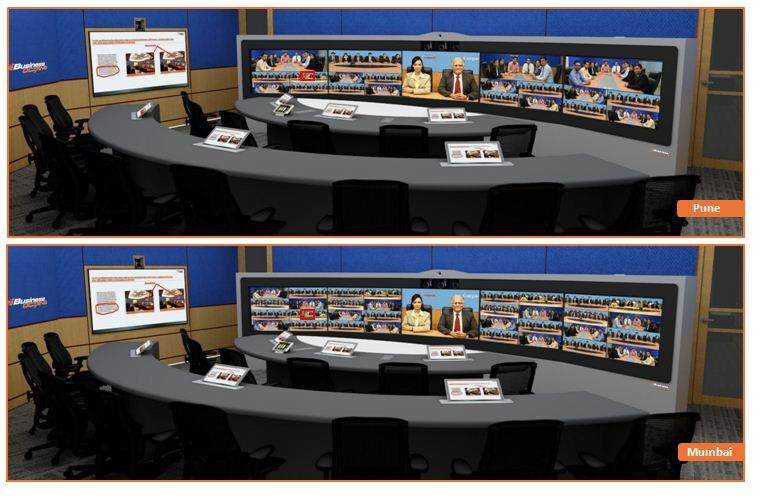 How to record & stream the video meeting? 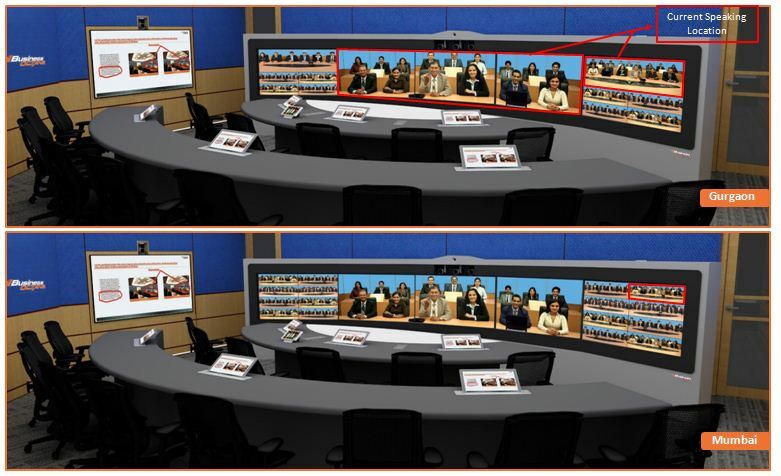 How to get easy "skype for business" desktop video conferences to seamlessly work with your video conference rooms? The quality of audio leaves a lot to be desired, which substantially reduces the effectiveness of understanding distant location participants, making your business suffer. Hiss and echo diminishes speech intelligibility. Your teams are unable to communicate message or get the other team’s message effectively. Low volume of distant speakers is a big hurdle in clarity of communication. Conducting multi-participant audio conference without prior planning and without using expensive bridging services is not possible. The presenter finds difficult to mute individual participants. A lot of prior preparation is required in terms of assembly of equipments and cables for it to work properly and leads to a lot of time wastage of your important employees, apart from raising their stress levels. No way to collaborate with all participants over same whiteboard and same presentation content right from the seat. Inadequate provisioning of hygiene factors such as network and power connections for every team member, which are overcome by temporary arrangements, which are not only highly unreliable but an eye sore as well. 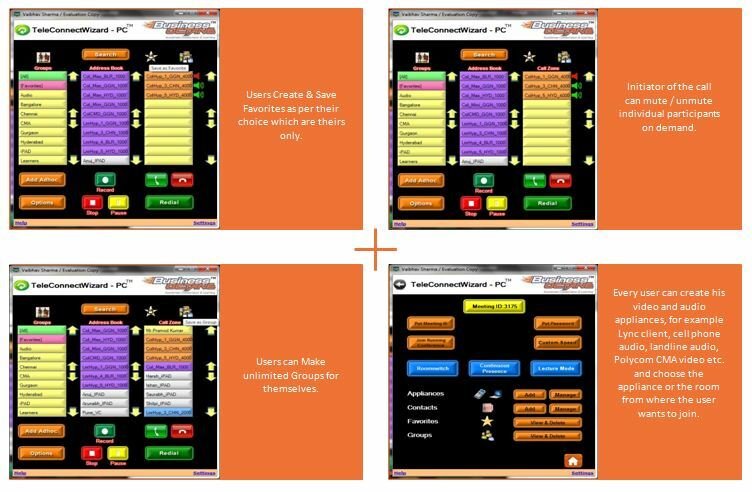 booking mechanism for your teams to meet at ease. Also, an effective tool for getting meetings over in time. How to empower multiple trainees and trainers, to work on the same whiteboard & content while trainees are seated for increasing trainees involvement multifold? How to make sure all employees are uniformly trained across the organization only using the very best trainers available, and that also quickly? How to conduct short duration trainings (like half day sessions) continuously for a week, a month or a quarter across multiple locations, so as to allow work and learn together? conducting trainings without spending lots of money and precious time in travel? employees like sales people, tele workers and partner employees in an effective manner on demand? How to record effectively conducted trainings to empower employees to self-learn on demand in a more effective manner? How to take the benefits of the same to others who could not participate then? How to empower trainees/students to ask more and more questions? 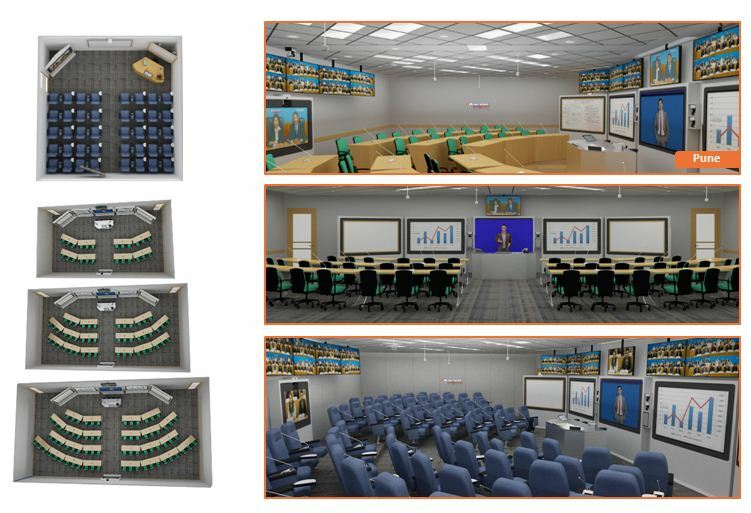 Specialized seating for conference rooms, training rooms & auditoriums! Training Room & Auditorium Specialized Lecterns! Acoustic Interiors & video optimized lighting! simplicity has helped us achieve our desired objective out of this. 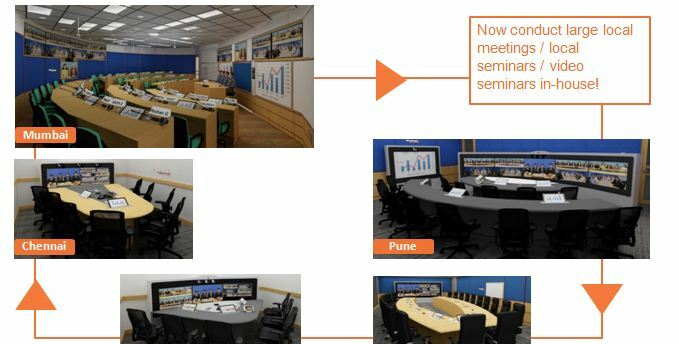 of State of the Art Training facility at IITM, Pune. Presence facilities at all our 11 locations. improvement in audio clarity was phenomenal. Get everyone on same whiteboard and same excel cell! 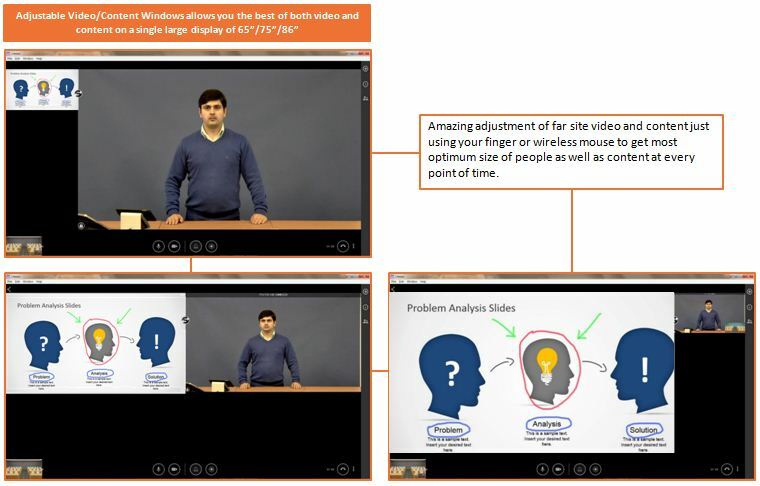 #1 (a) How to get for the very first time ever, everyone on the same whiteboard and same excel cell across you organization in all your video as well as local meetings? #1 (b) For the first time ever, how to get every student on the same with the teacher? Providing the capability to all trainees and students to annotate on the trainer’s content right from their seat, open a new whiteboard for the entire class from their seat and also empower trainees from both local class and distance learning rooms! World’s easiest way to make a presentation going in any meeting room! 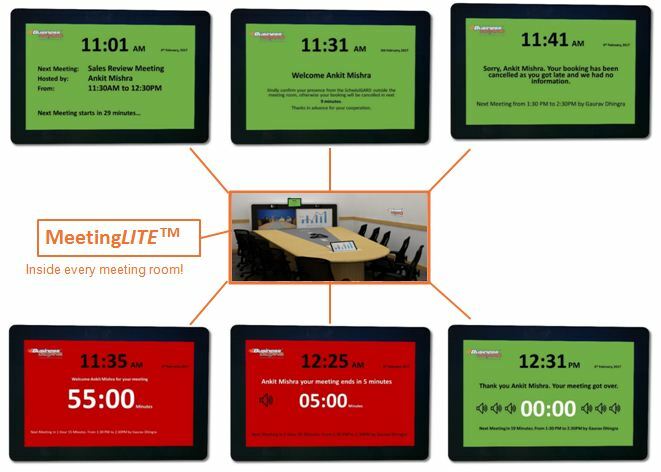 (a) How to save time in every single meeting across your enterprise and for the first time ever empower your meeting rooms to be clutter-free and 24/7 ready for presentations? 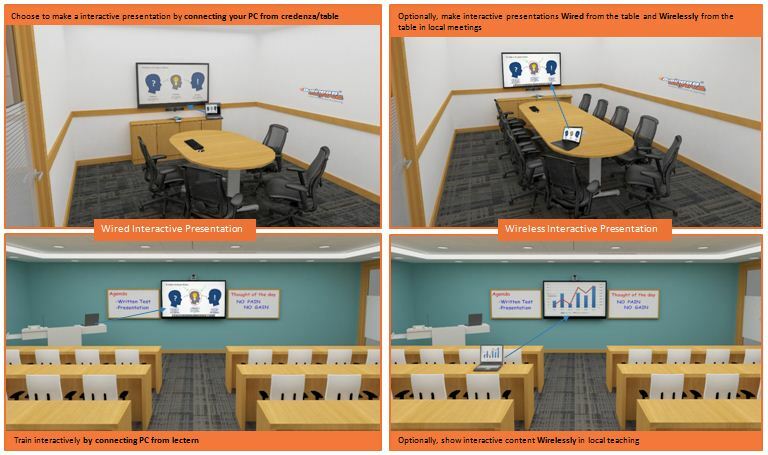 Start the presentation wired or wirelessly by just pressing Business Octane’s MajikSWITCHTM and switch from one presenter to another also by just pressing the Business Octane’s MajikSWITCHTM. 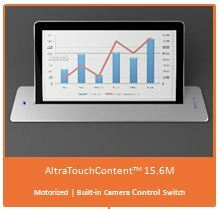 Also, get smallest form factor, smartest cable management and 24x7 readiness! (b) How to convert for the very first time your ordinary single content presentations into multi-content presentation share, compare and annotate in all your meeting rooms while having zero setup time and that too in an amazing easy to use manner, so that instead of just one alternative you can compare two or three alternatives for better understanding to take more effective decisions? For the first time ever, compare two or three alternatives simultaneously for more effective decision making! In any room even in your existing rooms! 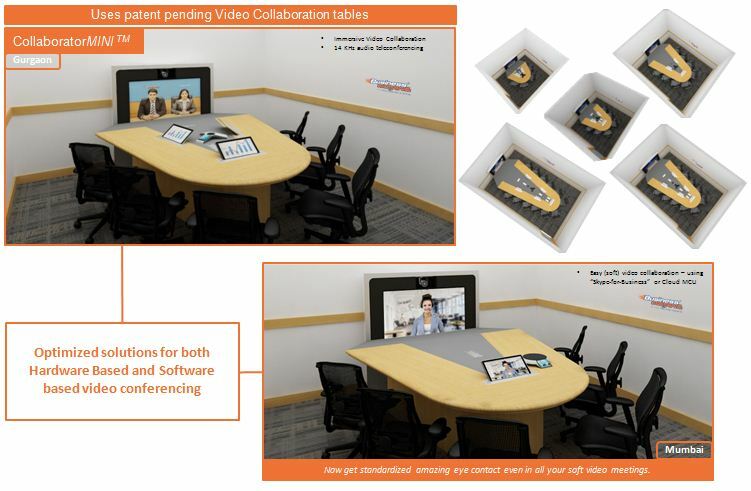 Transform your ordinary spaces to high collaboration spaces! 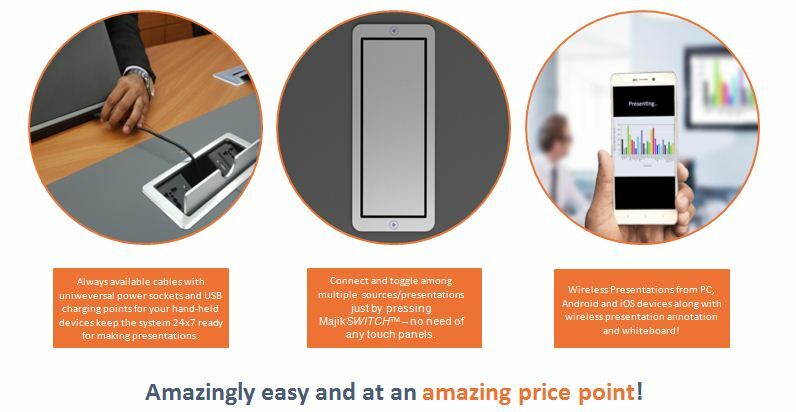 all that without bringing any cables to the conference table in all your huddle rooms, lounges, medium size conference rooms, classrooms and training rooms? Unique meeting time management that works! #4 How to make all meetings across your organization more productive than before by equipping better time-management, less conflicts and highest resource usage? irrespective of the locational constraints and still have the capability of moving the same to a new office or a new location practically overnight and that also without any room preparation? 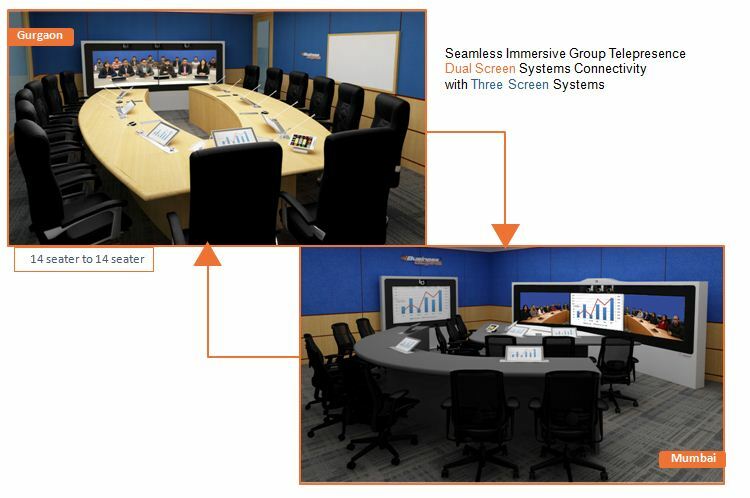 to have the best possible video collaboration in multiple flavors (two locations Ultra Immersive video meeting, multiple locations continuous presence, multiple locations Ultra Immersive video meeting), audio tele-conferencing and amazing local presentation share, compare and annotate experience from their cabin itself which was never ever possible before? 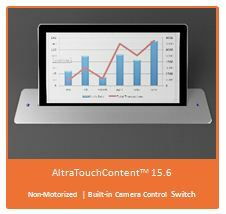 Now, amazing intimate ultra immersive video meeting experience for every conference room without breaking your bank! 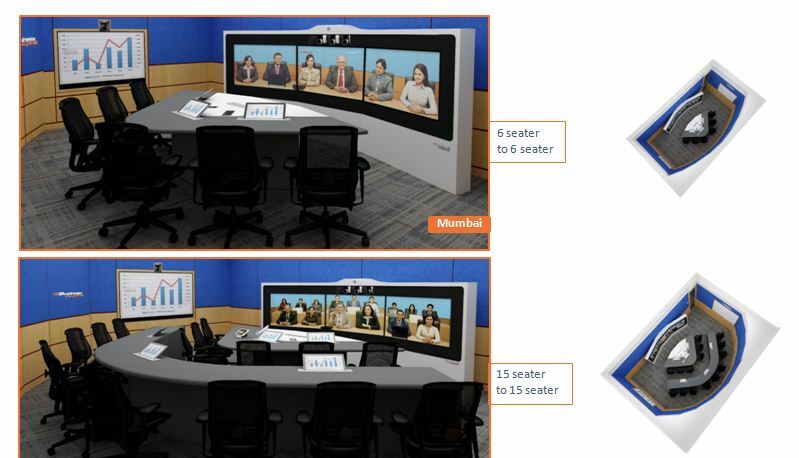 by getting for the very first time ever, intimate ultra immersive group video meeting experience in every single room across your organization be it a 4,6,8 seater huddle room or a 9,10,12 seater conference room or a 14,18,22 or 26 seater board room? without seeking anyone’s help in such a manner that everyone sees everyone else from every location while seeing the current speaker life-size at every location? while for the very first time seeing all the current speaking location participants life-size which was never ever possible before? Amazing ease of connectivity and removal of silos! to be able to connect one another or scores of other locations in different avtars and different user configurations, in a very easy manner, without seeking anyone’s help? Further how to record their video meetings for archive and training purposes, all by themselves? 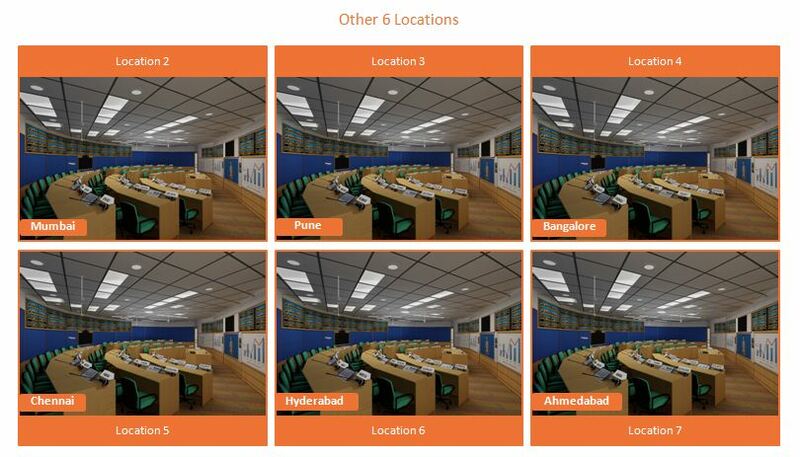 #11 (a) How to get the world’s best conference rooms, training rooms without making any capital expenditure? #12 How to take your boardroom meeting experience to the level that nobody has taken before? 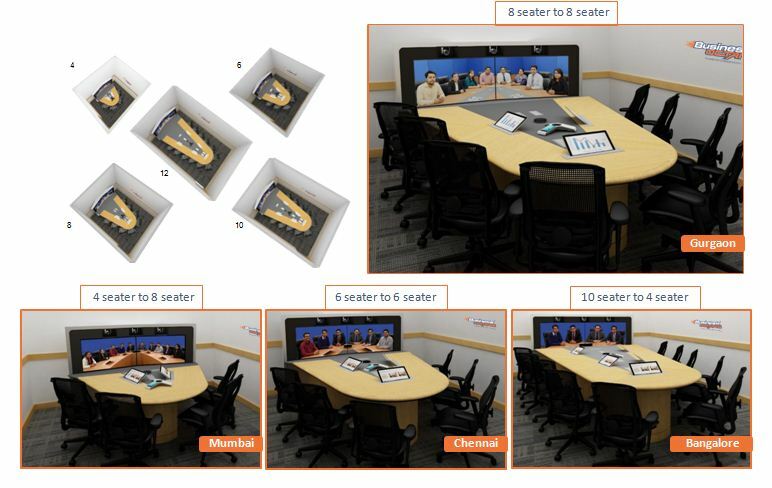 How to get immersive group telepresence in the boardroom for the first time whether it be 14, 18, 22 or 26 seater? 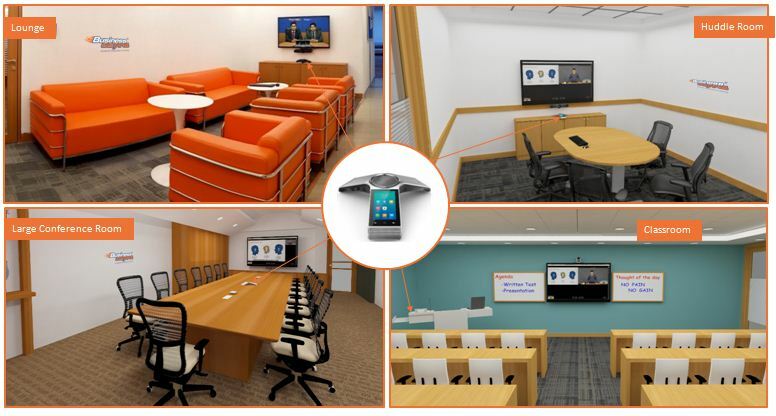 How to get amazing local speech reinforcement in your boardroom, along with premium audio tele conferencing experience, without compromising on aesthetics? 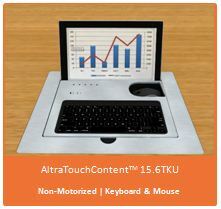 How to get two presentation comparison and annotation in local board meetings? How to remove astigmatism? More intimate Board Meeting along with Intimate Telepresence! 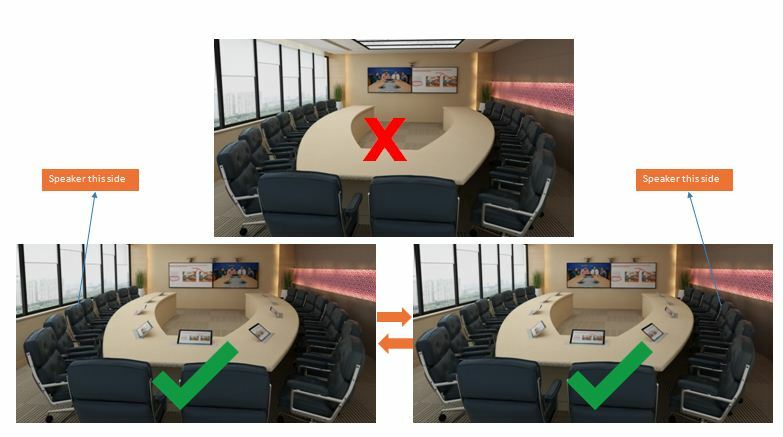 #13 How can you for the first time conduct both board meeting as well as intimate Ultra Immersive video meetings from the same room? 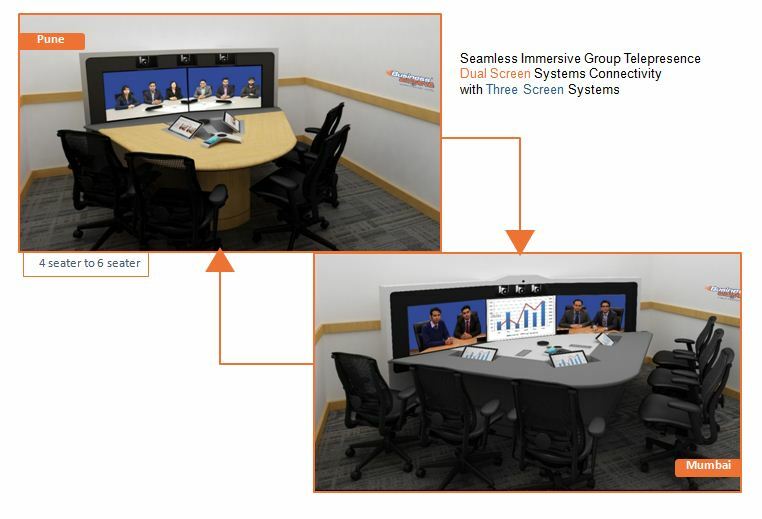 from all your existing video conference rooms to get best possible eye-to-eye contact that has never been possible before? 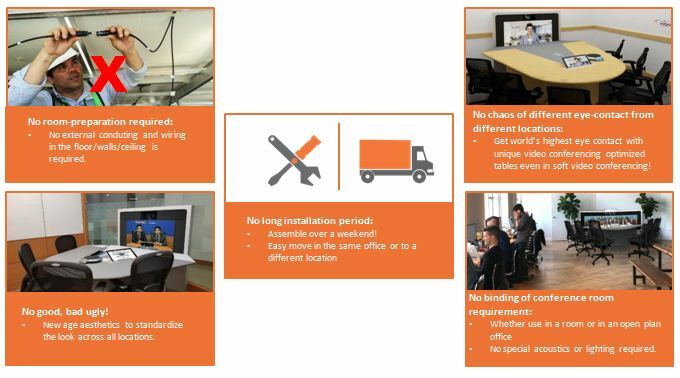 Transform your existing room for better power & higher productivity! 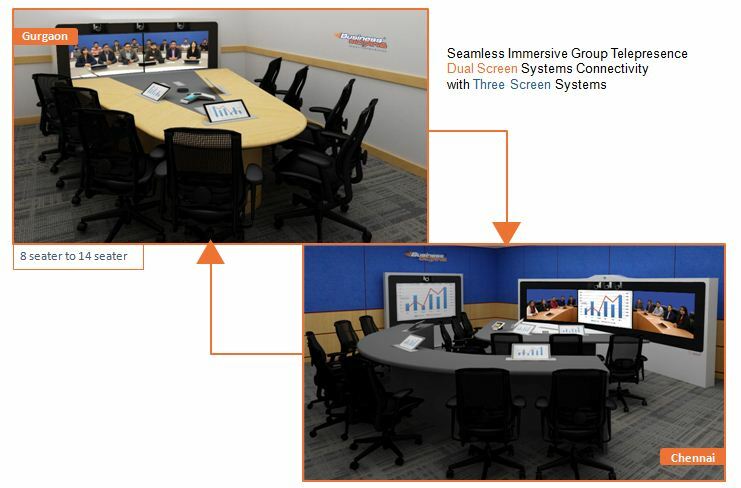 into group video meeting rooms, dynamic telepresence room and multiple continuous presence rooms without wasting your current investments and without making much changes in the room environment? Read every 340 participants name tag! 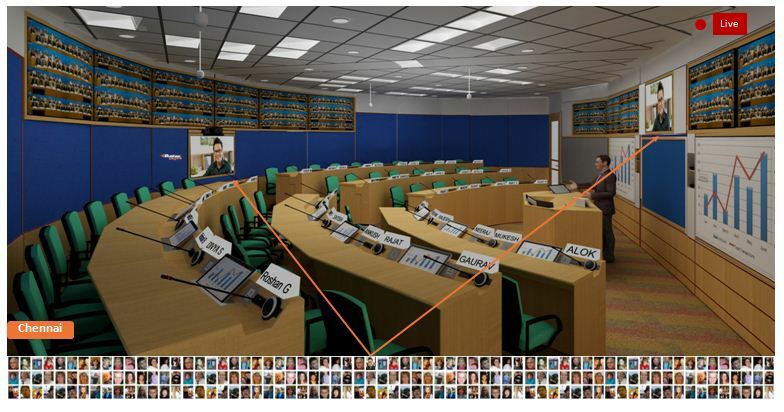 so that everyone can be recognized & names of every one can be read while seeing the current speaker or anyone asking a question from any location, in life-size manner at all the other locations? so that the trainer/speaker or any attendee can recognize any of other attendees along with seeing the current speaker life size at their location which was never ever possible before. 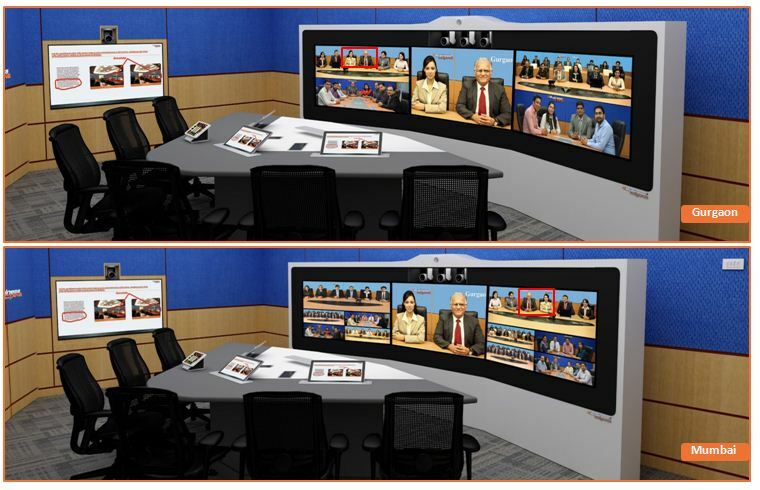 into an immersive collaborative learning telepresence video learning & teaching room, which was never ever possible before? 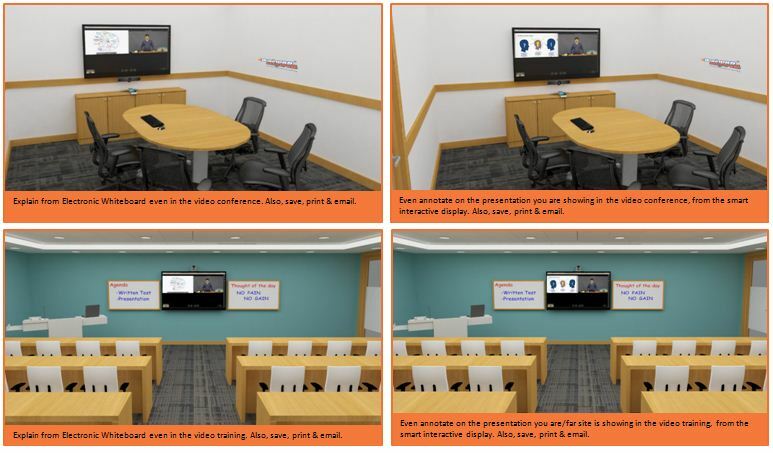 along with Collaborative Learning Telepresence suites for your Town-halls, Seminars, Trainings & HR initiatives in such a manner that all participants are visible to everyone at every location along with seeing the speaker lifesize? Make your rooms more beautiful & Stylish ! 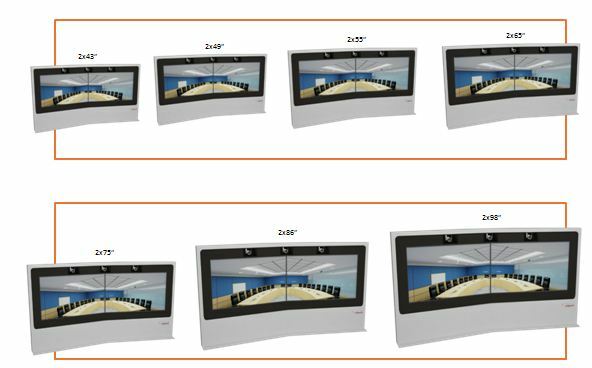 while getting high quality sound in video meetings, best possible eye contact, the ability to have displays against the glass walls and removing the need for making thick acoustic partitions in conference rooms? 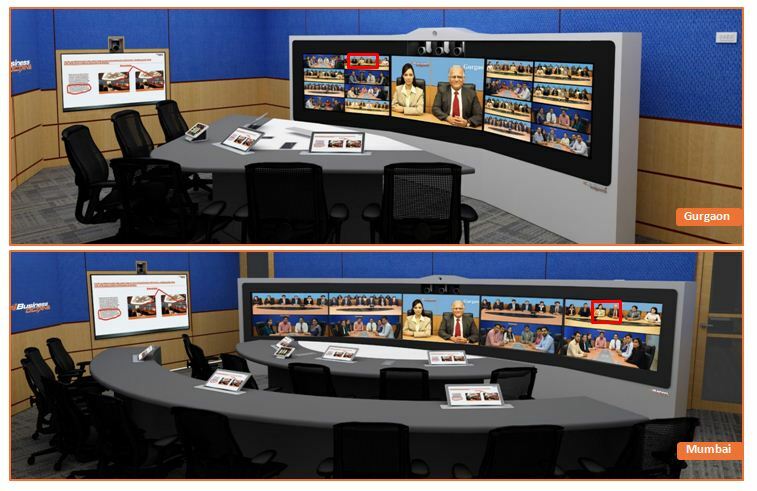 Tables, Chairs and Lecterns also make a big difference to your video meetings and training sessions! 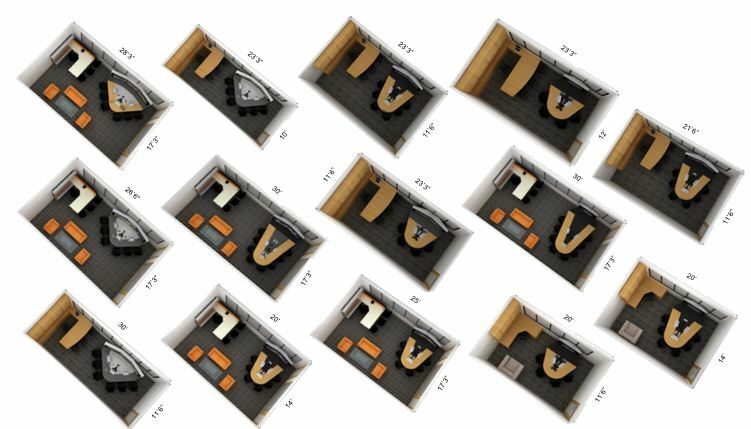 having in-built equipment rack, “Patent pending” Specially Tapered designs ensuring highest possible eye-to-eye contact and unique shape which help to see the least of table and most of participants’ view in all video meetings. 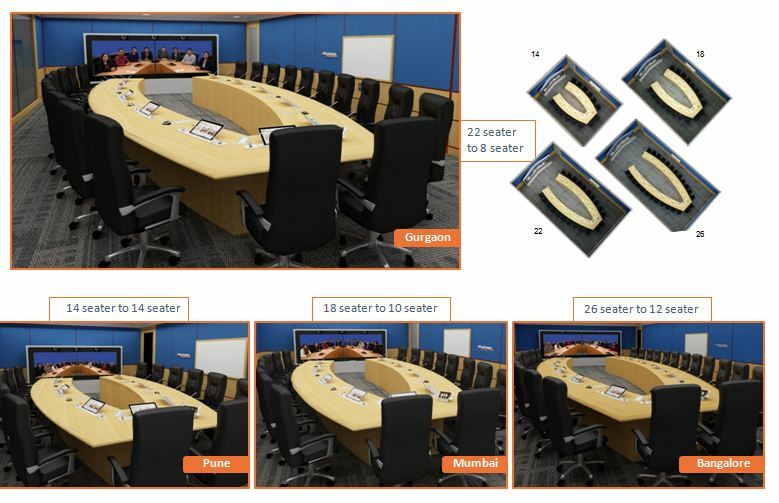 Be it a 4 seater room or a large boardroom with 26 participants or specialized tables for the training rooms to help you make training more effective? (b) How to aid trainees & presenters to make more powerful and more creative trainings & presentations? (b) How to make long meetings conferences “stress-free” for your teams, as longer means lower-back pain and cramps in the legs for hundreds of your employees; how to get specially designed high-quality synchro-tilt chairs that reduce the pressure on your thighs & lower-back without compromising on comfort and (one of its kind) folding chairs that allows you to have chairs on demand in special environments?